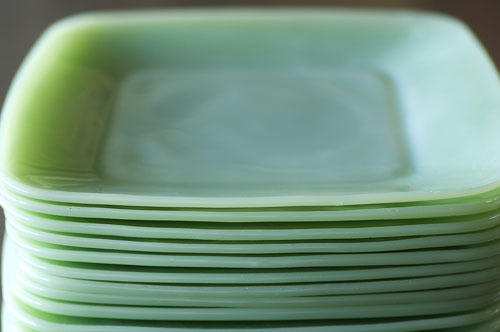 ← Mr. Boddington’s Studio inventory has arrived! Hands down – the “Collections” feature of Martha Stewart Living is my favorite part of cracking open that glossy magazine. 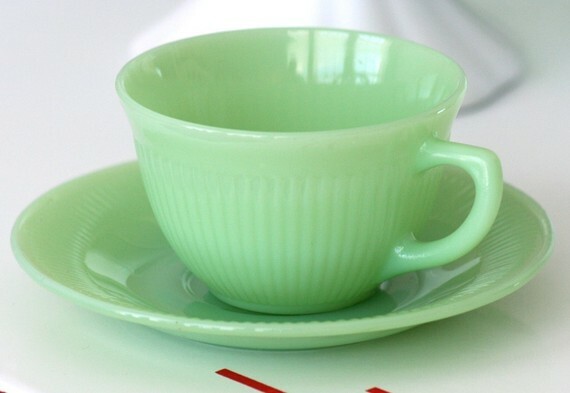 Martha has been ON POINT lately with her vintage sour cream glasses and September feature on Jadeite!!!! 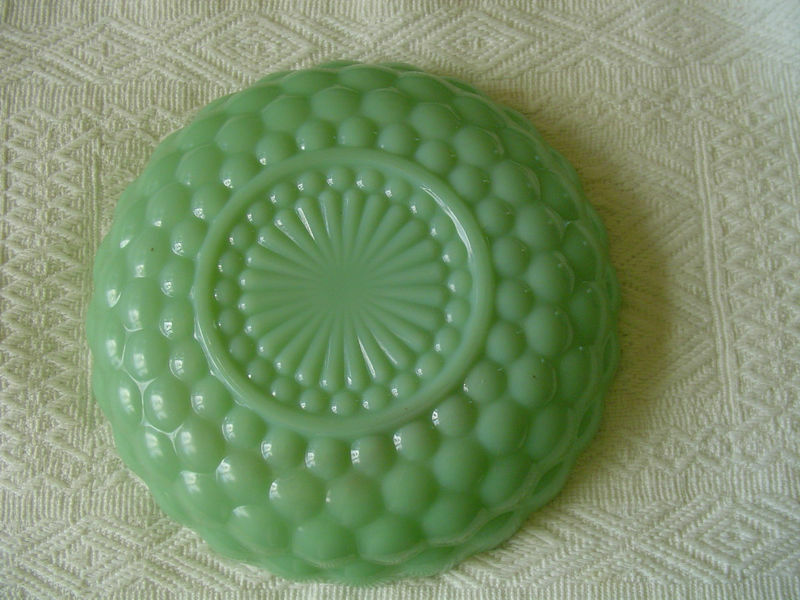 Let us refer back to one of my earliest posts on this lovely green milk glass. I love this stuff and started collecting it myself a few years back. 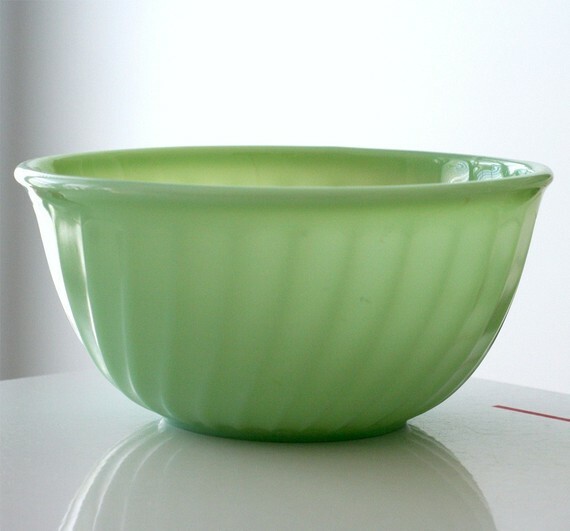 Here are some of my current favorite jadeite pieces and what’s on my wish list! I’m hoping to get to Brimfield in September to scour the stands to add to my collection. 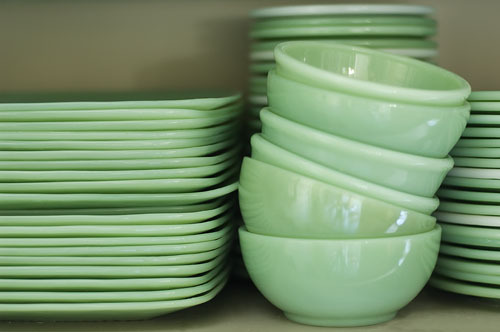 A girl can’t have too many dishes, right? 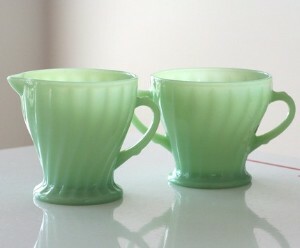 Anchor Hocking creamer and sugar in the “Shell” pattern. Wish list! 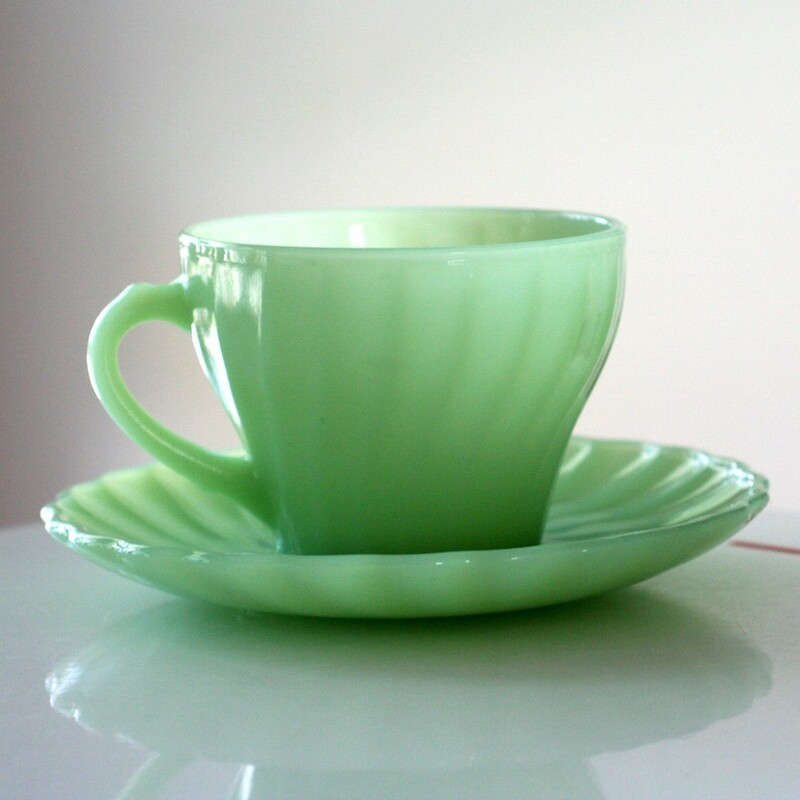 Fire King Jadeite Jane Ray cup and saucer – I started collecting these already! 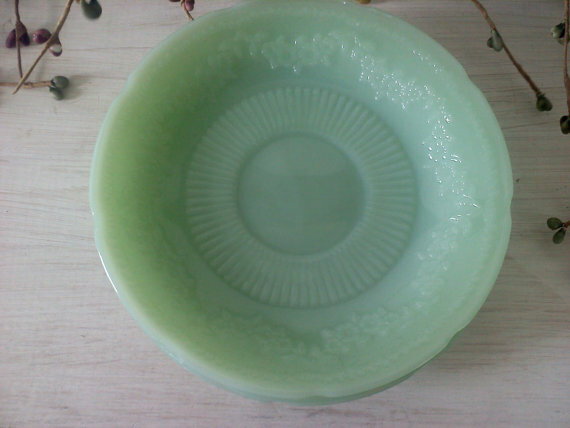 Fire King “Alice” style jadeite saucers – started collecting these too!